First Meal: I got up early to try and get an audition appointment today for a theater company that was coming to Manhattan to cast their 2019-2020 season. I’d been preparing for this one and was ready. When I arrived at Pearl Studios there was a long line of people who had the same idea as me. I hadn’t seen a line like this in awhile. I could only get on the alternate list. My number was 59. I knew I would not get to be seen before the 1-2pm lunch break so I went back home. 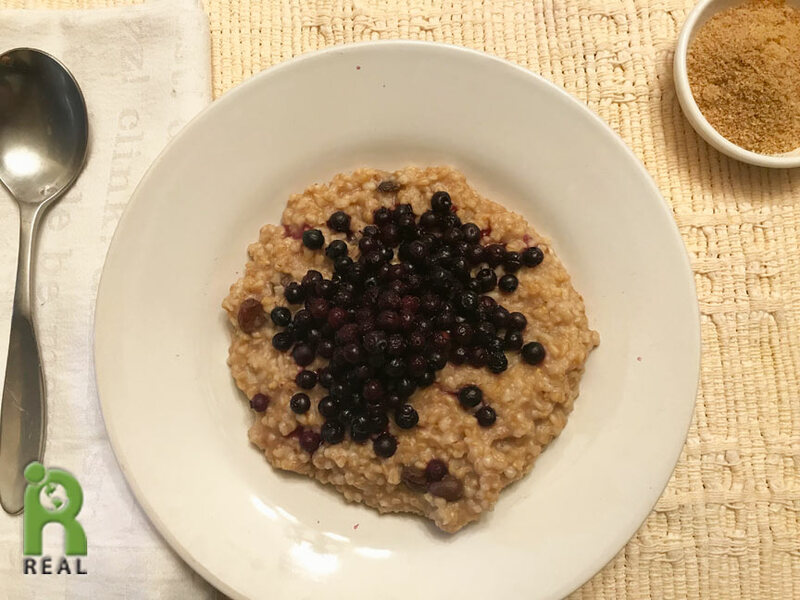 I warmed up the organic Steel Cut Oats I made a few days ago with organic Raisins and organic Cinnamon and I topped it with organic Blueberries and organic ground Flax Seeds. That wasn’t enough! I was hungry. 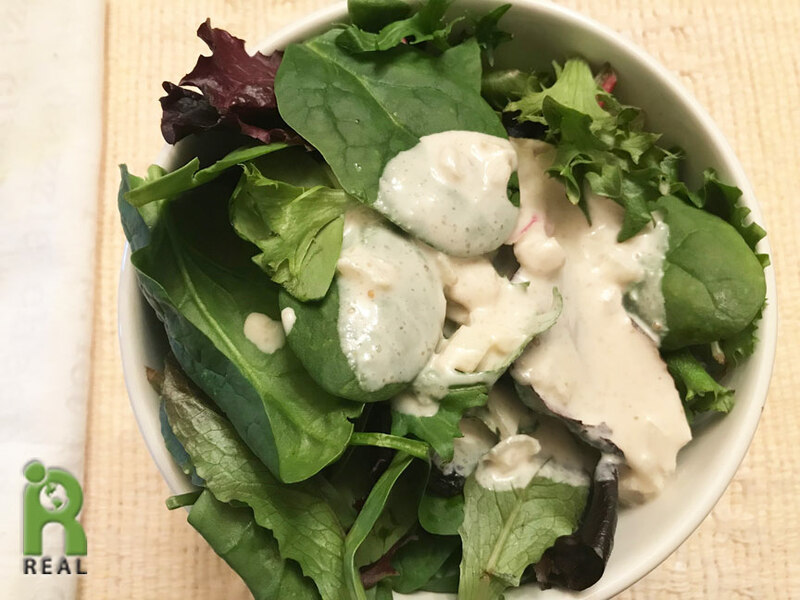 I made a organic Power Greens Salad with organic Tahini Dressing. I have been craving green juice for a long time. It’s time to get back to my old routine of having a daily juice. I made 11 jars and put ten in the freezer. My old friend! It’s so good to have you back in my life. 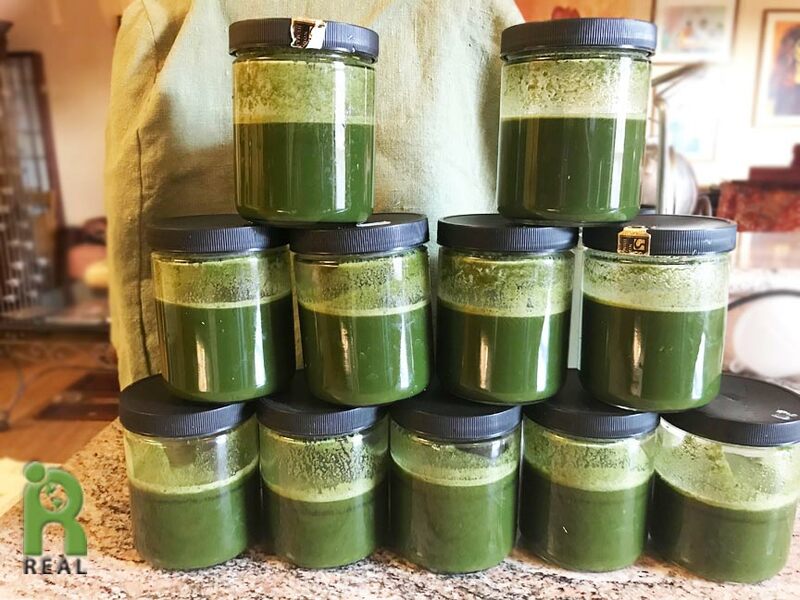 This juice has organic Kale, organic Collards, organic Red Cabbage, organic Mint, Ginger, organic Celery, organic Carrots, and organic Lemon. Second Meal: I went back to Pearl Studios and sat waiting for the list to shorten. It barely budged. When I arrived they had called 15 alternates and when I left at 6pm only 35 of those on the alternate list were called to audition. Next time I get up earlier… I was super hungry and was heading to 12th Street for an event. It was cold and raining. I anticipated the cold but not the rain. I am glad I had a big fluffly fake fur hat to cover my head. 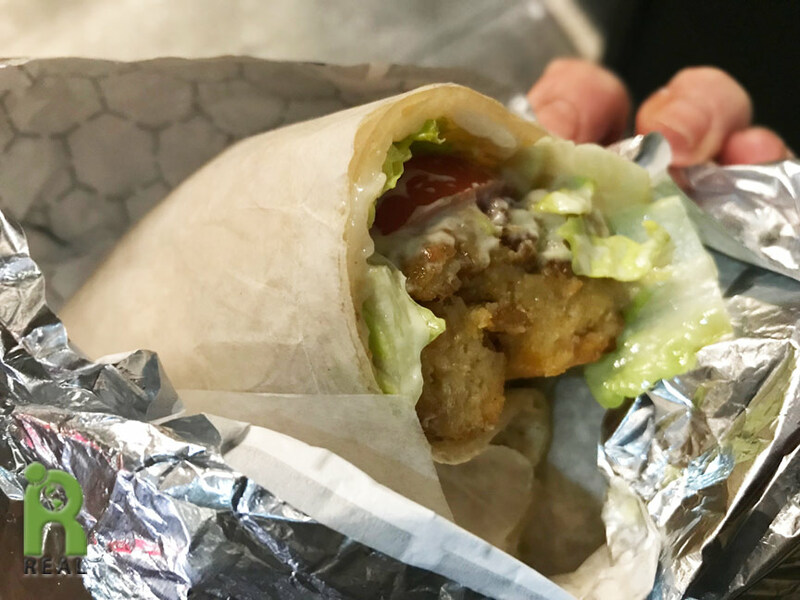 I stopped into a little fast food vegan joint called VLife and ordered a wrap with a Lentil Garbanzo Bean Patty served in a gluten-free Tortilla. I ate it as I walked in the rain. It was gone in seconds. Gulp. The event I was going to was the book launch for Timothy A. Wise’s new book called Eating Tomorrow. 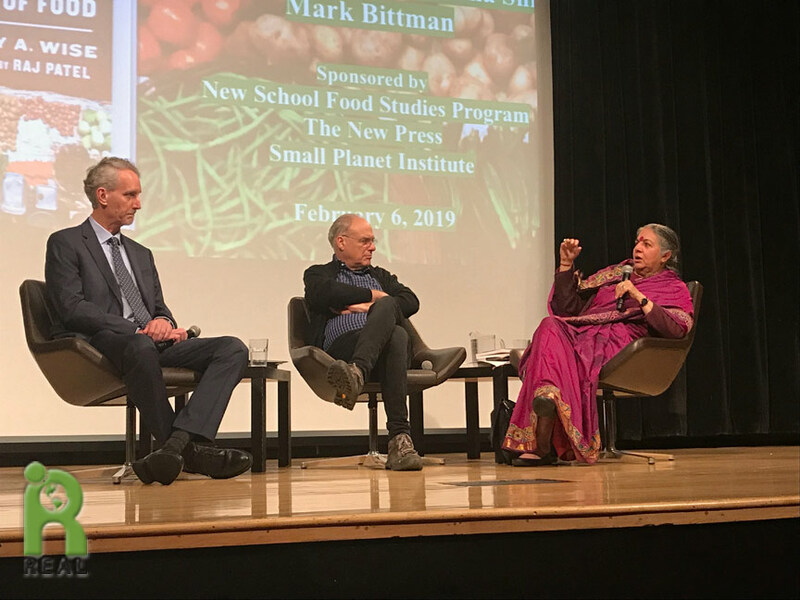 Mark Bittman and Vandana Shiva joined the author to talk about my favorite subject, food. It was an excellent evening. When it was time to leave my coat and hat had completely dried and were ready to get wet again. Third Meal: On the way home I began preparing a late supper in my head. 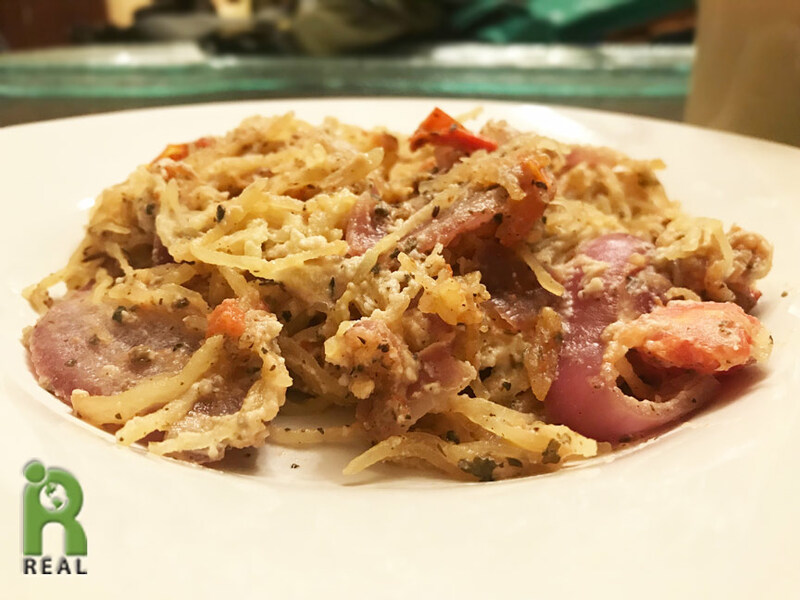 Once at home, it came together quickly: I sautéed an organic Red Onion with organic Tomatoes and organic dried Basil. Next I added in cooked organic Spaghetti Squash. When everything was well-mixed and hot, I turned off the heat and stirred in some Almond Ricotta. This is a winner. You’ll be seeing this again.